It looks like a storm is brewing. This green tub with that view of what looks like wheat fields makes me think of the opening scenes of the Wizard of Oz when the tornado hits. It's been years since I've seen that movie, but looking at this photo just has me thinking of Toto and tornados for some reason. 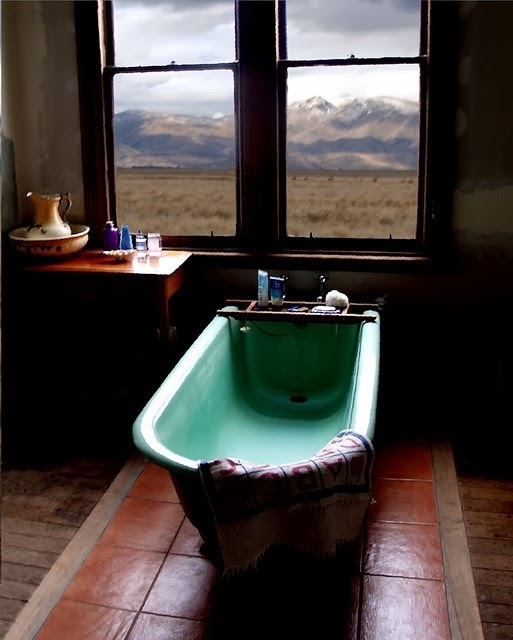 Maybe it's because of the Emerald green color of the bath, the country setting and the dark lighting.